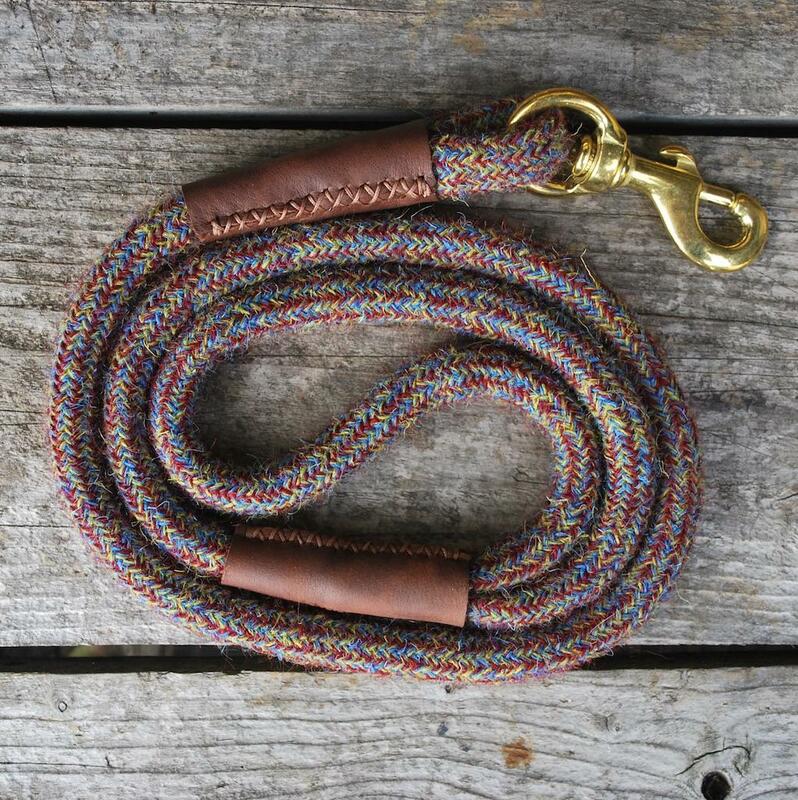 Our handmade braided dog leads are made by skilled British craftspeople using wool from sheep that graze on Dartmoor which is spun and woven into twine before being braided. 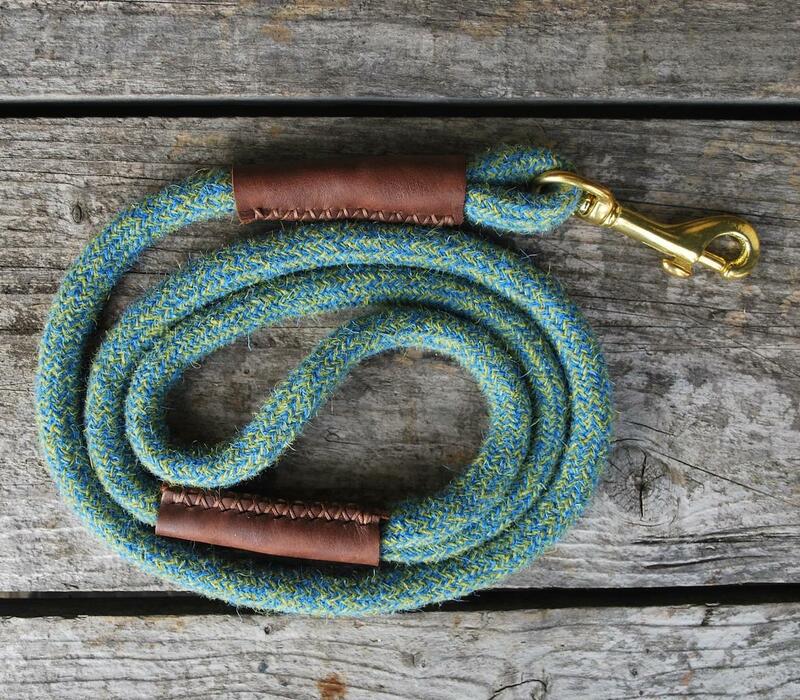 Our leads are then fitted with solid brass clips and finished with up- cycled leather. 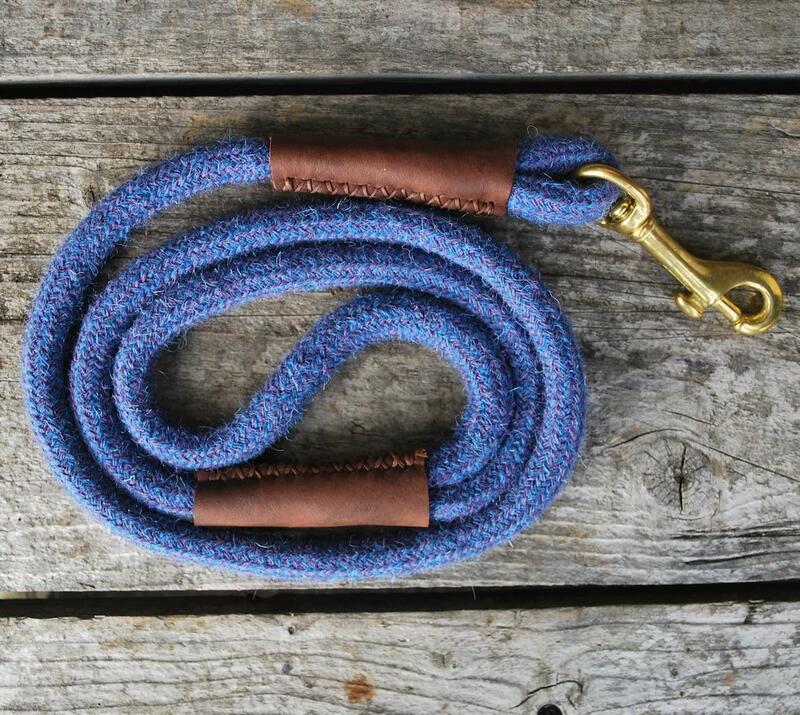 Designed to complement the colours in our Liberty print dog collars, our luxury wool leads are beautifully made, yet practical too and are available in a range of stunning colour combinations. 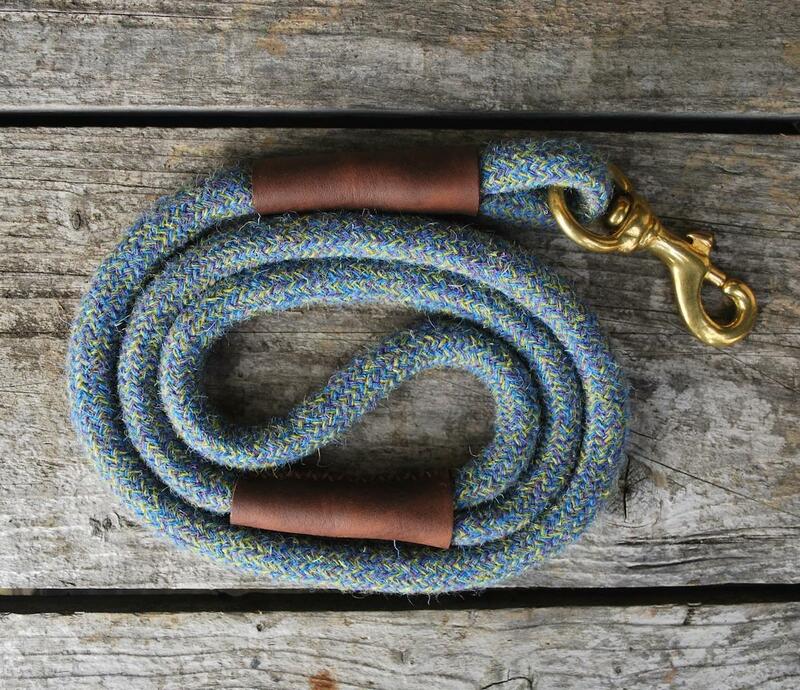 The wool braid is extremely durable and comfortable to handle. They can be cleaned easily by simply rinsing off any excess dirt or mud, washing in a dilute washing solution (without optical brighteners) and leaving to dry naturally. Made with 100% British wool.